The Westfalenhallen in Dortmund, Germany hosted the latest edition of the Solids Dortmund exhibition. The show was the ideal platform for professionals from all over Europe to meet and discuss the latest trends and innovations in processing powders and bulk solids. 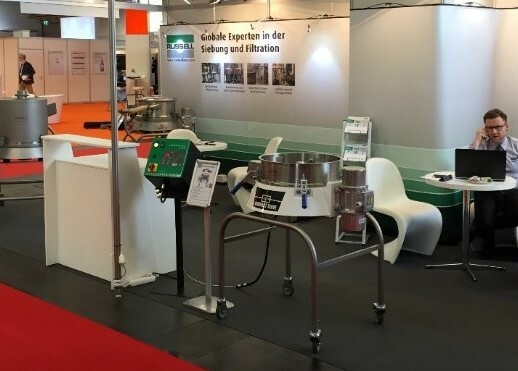 Solids Dortmund welcomed over 500 exhibitors, breaking last year’s record and was held together with the RECYCLING-TECHNIK show. The wide range of exhibitors were able to connect with visitors from various industries including food, recycling, pharmaceuticals, cosmetics and the chemical industry. The experienced Russell Finex sales engineers presented the latest innovations in separation equipment to an international audience. 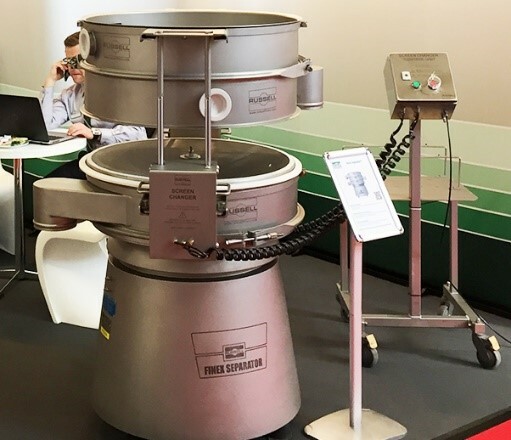 Visitors were able to see live demonstrations of the Russell Screen Changer™, a pneumatic deck lifting system, and the Russell Vibrasonic® Deblinding System for preventing particles from blinding or blocking the sieve mesh. For questions about your specific application and the range of innovative separation equipment you can contact Russell Finex to see how your production line can be improved.